If you’re not happy about the performance of your current point-and-shoot camera or your smartphone camera, then perhaps it’s time to move to a mirrorless system. The best mirrorless cameras on the market are compact, lightweight, and have features that justify its price. Manufacturers such as Canon, Fujifilm, Nikon, and Sony create mirrorless camera systems and place them on the market. 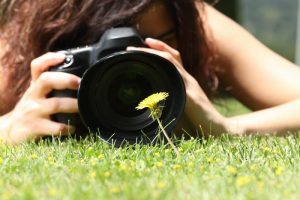 This time, we’re going to help you choose the best mirrorless camera for your photography needs by way of our “How to Choose” section on this page. 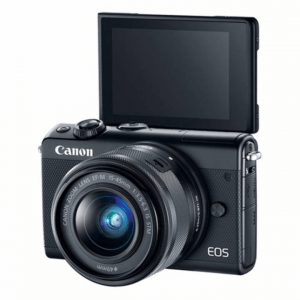 We’re also introducing our top mirrorless cameras in the Philippines in a ranking format. Before you buy a mirrorless camera, let’s understand the features and advantages that will come with the device. 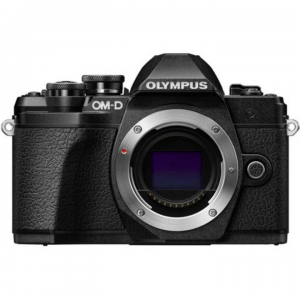 Just the name of the camera suggests mirrorless systems operate without the use of a mirror. Single lens reflex (SLR) cameras reflect light coming from the lens to a mirror which will let the image show up on the viewfinder. 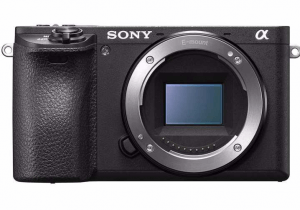 However, since there are no mirrors involved, mirrorless cameras will have either have no viewfinders or use electronic versions of that feature. Since there are no mirrors, mirrorless cameras tend to have a smaller and lighter design as compared to their SLR counterparts. As a result, it’s an ideal choice for everyday carry (EDC). Other than that, mirrorless camera systems tend to have more stylish designs than SLR’s. 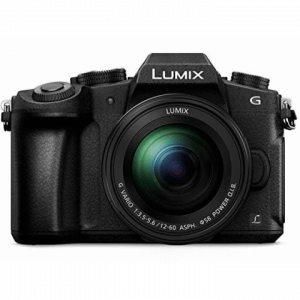 Users can also add accessories, change lenses, and enjoy different shooting scenarios with these cameras. Mirrorless cameras may not be suitable for photographers that want to use optical viewfinders when taking photos or videos. 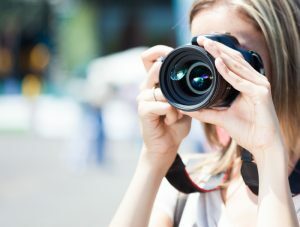 However, beginner photographers or videographers will become find using the built-in screens to be more accessible to use than looking through a tiny viewfinder. Also, it’s important to point out that mirrorless cameras don’t share the same number of available lenses on the market. Many manufacturers still prioritize in making lenses for SLR’s, so there’s not going to be plenty of options when selecting lenses for a particular mirrorless system. In this segment, let us introduce some points of consideration when you’re choosing a mirrorless camera. You might come across some technical jargons, but it’s better to come across them now so you can firmly understand what you want in a mirrorless camera. Keep a close eye on the sensor size of the mirrorless camera because it’s a very important element. 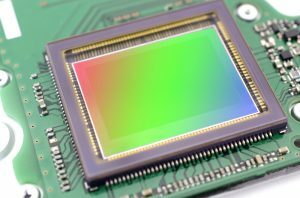 The sensor of a digital camera will turn light from the lens into electronic signals. Capturing high-quality images requires a camera with a large sensor size. Simply put, the larger the sensor, the more light it can capture which means better reflection. Furthermore, large sensors do a better job at keeping blurring out of focus areas in the image. Full-sized sensors are more superior than their crop (APS-C) counterparts. 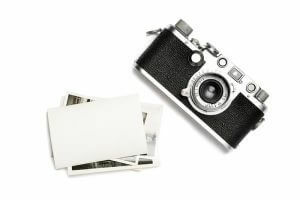 However, full-sized sensors are mostly used for SLR cameras. APS-C sensors, on the other hand, are in abundance in mirrorless cameras, especially in models coming from Sony and Canon. If you want a mirrorless camera with a compact design, then you’re also going to get a unit with a small sensor. Some manufacturers like Panasonic and Olympus call the sensors on their mirrorless cameras as “Micro Four Thirds” instead of APS-C. The term indicates that the sensor size is four sizes smaller than a full-sized sensor. Also, Nikon uses a proprietary name for their sensors called the “Nikon CX format,” and it’s even smaller than a Micro Four Thirds unit. Mirrorless cameras may be larger than a compact point-and-shoot camera. Still, beginner photographers looking for an upgrade will still find the size of most mirrorless cameras to be reasonably sufficient. ISO is one of the important factors in photography in controlling the light coming into your camera. This element allows you to control the brightness level of your images. The higher the numerical value of the ISO, the more light your camera can capture. Higher ISO’s will also allow you to use faster shutter speeds which means less camera shake. The standard ISO range for shooting dimly lit scenarios is 3200 or more, but you can go as high as 128000 if you desire to shoot a photo or video inside a very dark area. However, you should always keep a close eye on the quality of your images because it will degrade as ISO sensitivity increases. To prevent picture noise/grain from appearing in your photos because of high ISO use, then you may want to get a mirrorless camera with a large sensor. 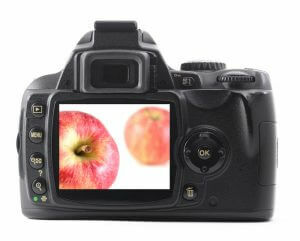 The number of pixels is relatively common in the photography world. 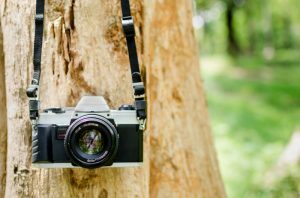 Smartphone cameras, point-and-shoots, SLR’s, and, of course, mirrorless cameras will no doubt let you check out the number of pixels for each unit even before purchase. It’s the figure that the camera’s sensor can handle when shooting images. Simply speaking, the larger the number, the more resolution you can shoot with the camera. However, it’s necessary to balance ISO sensitivity, sensor size, and the number of pixels. For example, if the camera can capture 12 million pixels (MP), the size of each pixel can change because of the size of the built-in sensor. For APS-C cameras with a reasonably large size, 12MP is a reasonable choice to shoot quality images with good detail. We’ve already mentioned that one of the advantages of using mirrorless cameras is you can change their lenses. 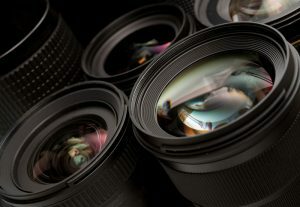 The more variations of lenses you have, the more options for your artistic approach to your photography or videography. As such, it’s important to have as many lenses as possible. Many mirrorless cameras on the market come with starter or kit lenses so you can practice capturing images right off the bat. The kit lens does give you a chance to capture reasonably sharp images. 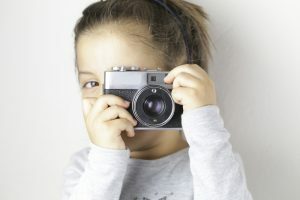 However, if you’re already accustomed to shooting with the camera, and if you want to try different styles of photography, then you will want to use different lenses. Bear in mind that not all lenses can fit all camera units. Always check the compatibility of the lens before you buy one to avoid wasteful spending. Many mirrorless cameras don’t come with viewfinders so shooting relies on you looking at the built-in display. As such, if the color clarity and reproduction of the screen are unsatisfactory, then taking pictures or shooting videos become an unfavorable experience. 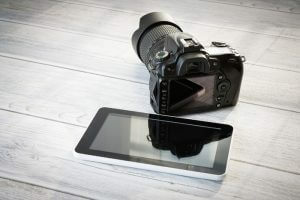 Mirrorless camera displays come in different variants like those that have touchscreen capabilities or move at an angle for a more flexible shooting experience. There are also mirrorless cameras that already come with built-in viewfinders. These elements are called Electronic Viewfinders (EVF), and they allow you to take a look at your composition and scene as opposed to just using the display. If the camera you chose doesn’t have an EVF but you want it to have one, then you might want to check with the manufacturer if they offer one that comes as an external attachment. It’s important to note that EVF’s are different than the traditional optical viewfinder. EVF’s require battery use unlike their optical counterparts, but they can display more information so you can adjust your shooting preferences before you shoot. Please consider if you want a mirrorless camera with or without a built-in EVF before you purchase. 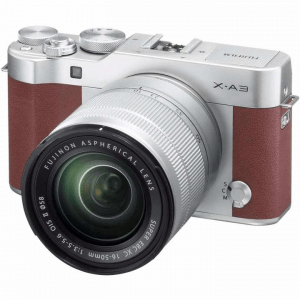 Manufacturers of mirrorless cameras like to put additional features on their products so it’s important to check which functionalities are necessary for your specific needs. Let’s check out some extra features you may find when trying to choose a mirrorless camera. Some cameras come with art filters so photographers can change the look of their images on the fly without relying on a photo editing software. Picking the right shooting scene from the camera lets the device select the right exposure for each shot, and this can become a boon for beginners. 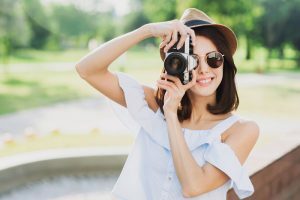 If you want to quickly send your picture to your smartphone to post it to social media sites, then a built-in Wi-Fi is an absolute necessity for your chosen mirrorless camera. Using this feature will allow you to quickly send your captured media to your smartphone without going through a computer. Additionally, there are also some cameras that can offer other wireless communication functions like Bluetooth, NFC, and even GPS. 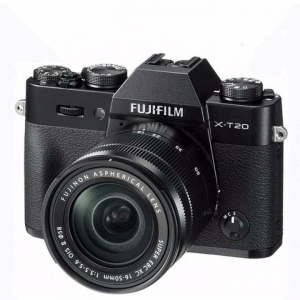 Many mirrorless cameras in today’s market now come with IS technology. Some lenses will even have this technology to help prevent blurry photos due to accidental camera shake. When the mirrorless camera does come with built-in IS from the start, then you can still equip the device with a lens with a similar technology to assure yourself even further that you’ll always get a clear image. However, the IS correction effect may not show in some viewfinders. As for lenses with IS, the viewfinder will capture the effect so it becomes easy to capture images of fast-moving subjects. The disadvantage here is that most of these lenses are more expensive and larger than their counterparts without IS so it might weigh down the camera to a degree. Now we’re going to introduce our top mirrorless cameras to buy in the Philippines in a ranking format. 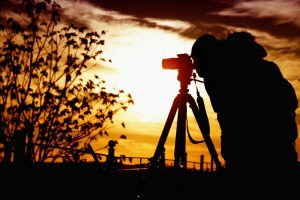 Do check out our list to help you choose which mirrorless camera to buy for your photography and videography needs. Shutter shock is when the camera moves slightly when you press the shutter button which can destroy the overall look of the captured photo. Thankfully, the presence of an electromagnetic shutter will stabilize the camera when you press the shutter button for sharp photos. It also comes with a 16 MP sensor, which is quite low as compared to other similarly-priced mirrorless cameras out there. However, if you’re troubled by cameras destroying the clarity of your image because of shutter shock, then this is the model for you. While many mirrorless cameras on the market can only shoot about 200 photos before their batteries need a recharge, this model will happily let you shoot 410 photos before you need to plug it in for another charge. It also has a 24MP sensor for shooting high-resolution photos and videos with plenty of detail. However, it has limited controls for videos. As a result, this mirrorless camera may fit better in the hands of a photographer than videographers. Capturing fast-moving objects is easy with this mirrorless camera because of its very fast autofocusing system. Unlike other cameras that takes about a second to “lock on” to your subjects, this model only needs 0.05 seconds. It does lack an EVF so keeping a close eye on the battery is a must with this unit because you’re going to use the rear display a lot. Still, sports and wildlife photographers can definitely take advantage of its lightning-quick autofocusing system. With a weight of just 0.67 pounds, this mirrorless camera feels very light while in your hand or bag. It’s clear that some sacrifices were made to keep the price down as it doesn’t have a viewfinder or 4K video capture. Nonetheless, it does come with Wi-Fi, NFC, and Bluetooth for easy wireless sharing of media to a connected smartphone. Photographers looking into getting their first mirrorless camera without spending too much may want this product to be their first choice. 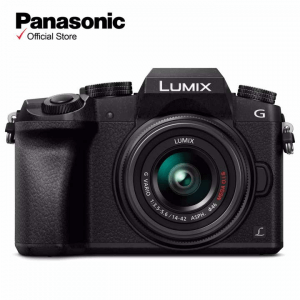 If you’re a fan of Panasonic cameras and you think that the brand’s G85 is too expensive for your budget, then you can consider getting this model instead. It still has features that the G85 has like 4K UHD video recording and a built-in EVF, but it does sacrifice some functions. It doesn’t have a built-in IS, and it has a slower rate of continuous shooting (7 fps as compared to 9 fps on the G85). You can still add this to your photography arsenal if you already like the G85 but don’t want to spend more for that model. 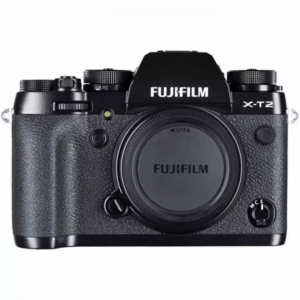 This mirrorless camera comes with a 24.3MP sensor and that already beats plenty of similar cameras on the market, especially those that can only dish out a maximum of 16MP. As such, it’s an ideal choice for those who want plenty of detail in their shots. The user interface (UI) on the touchscreen menu could be better because it only gives a few choices. Accessing more of its functions requires you to dive into the menu. While many mirrorless cameras on the market are made for shooting stills, this one has a focus on capturing videos. With no optical low pass filter, 4K resolution, and a wide dynamic range, videos come out sharp and colorful. However, its ISO range of 200 – 25600 could be better, especially when you compare it with other cameras that can offer 100 – 25600 ISO. Ultimately, this is a great mirrorless camera for both still photographers and videographers, especially the latter. 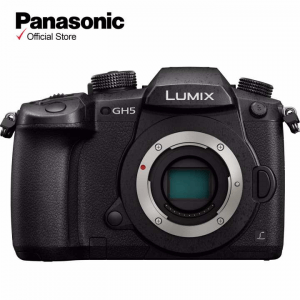 Both 4K video recording and IS features are usually found in more expensive cameras on the market, but it was possible to put these functions into this reasonably-priced model. It also has an easy-to-use UI to make shooting friendly for beginners. However, it doesn’t have the fastest autofocusing system out there so it can become difficult to shoot fast-moving subjects. It’s still a great choice for portraits and still life photography. Most mirrorless cameras on the market portray similar dimensions, but this unit is more compact than most. It’s an excellent choice for people who don’t want to bring large cameras during travels. However, its compact nature also means it packs a small sensor size. It uses 1-inch type sensor, which is smaller than Micro Four Thirds and APS-C” type which are used in most mirrorless cameras. Nonetheless, this mirrorless digital camera does carry a 20.8MP resolution sensor for capturing pleasantly sharp photos and videos. It may not have a touchscreen interface unlike other mirrorless cameras out there, but this model makes up for just about everything else. First, it’s blazing fast autofocus speed allows you to lock onto your subjects at a speed of 0.06 seconds. Next, it gives you a 24.3MP resolution for images and it can also shoot 4K videos. All that in a tactile body and you’ve got yourself a very good camera fit for just about any scenario. We just introduced several points on how to choose a mirrorless camera along with a list of recommended mirrorless cameras on the market. All the models we introduced are beginner-friendly. If you want to take your smartphone or point-and-shoot photography to the next level, then you can achieve that objective by going the mirrorless route. Mirrorless cameras are known to be compact and easy-to-carry. 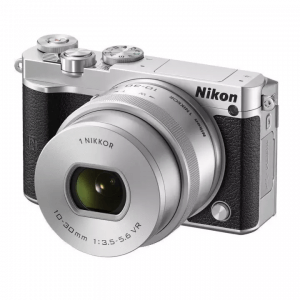 Do find a mirrorless camera that’s perfect for your style of photography.